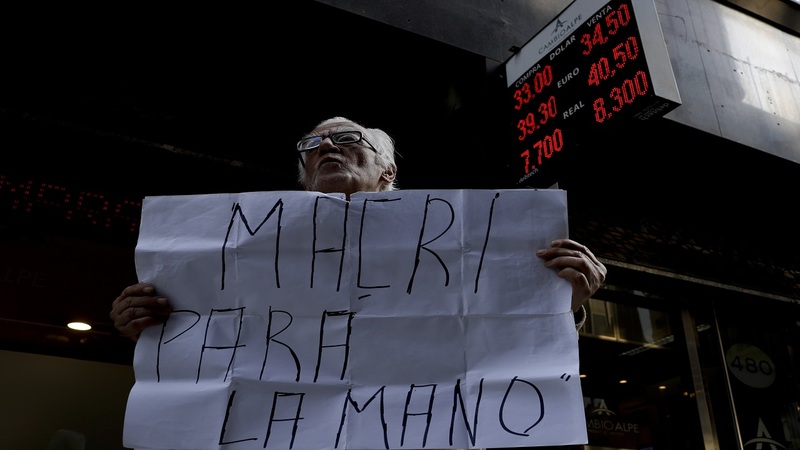 A man with a sign reading in Spanish "Stop Macri" stands outside an exchange office in Buenos Aires, Argentina. (AP Photo). 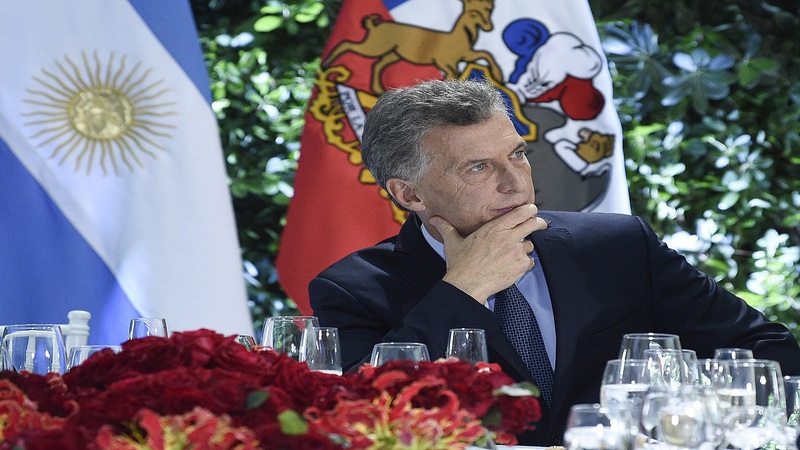 President Mauricio Macri asked the International Monetary Fund (IMF) on Wednesday for an early release of funds from a $50 billion deal with the IMF to ease concerns that Argentina will not be able to meet its debt obligations for 2019. Macri said in a televised address that Argentina has agreed with the IMF "to advance all necessary funds to guarantee compliance with next year's financial program." Macri said that in the past week there have been "expressions of a lack of trust in the markets" about Argentina. He said the decision seeks to dispel any uncertainty, but he did not specify the amount or when the funds will be released. Argentina was forced to strike a deal with the IMF earlier this year after a sharp depreciation of its currency and a run on the peso. The three year stand-by financing deal is aimed at strengthening the South American country's weak economy and helping it fight inflation, which at 30 percent per year, is one of the highest in the world. The Argentine currency fell again Wednesday to close at an all-time low of 34.2 pesos per U.S. dollar. 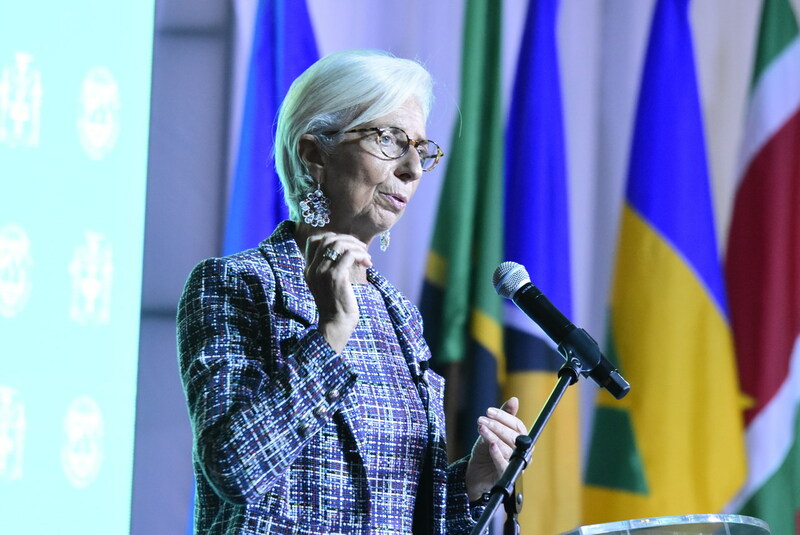 The IMF said in a statement that it will "revise the government's economic plan with a focus on better insulating Argentina from the recent shifts in global financial markets, including through stronger monetary and fiscal policies and a deepening of efforts to support the most vulnerable in society." 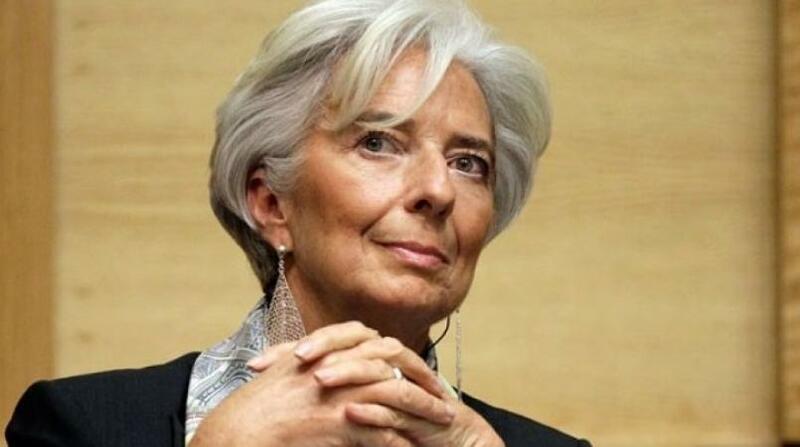 Most Argentines have bad memories of the IMF and blame the international lending institution for encouraging policies that led to the country's worst economic crisis in 2001. The crisis 17 years ago resulted in one of every five Argentines being unemployed, millions sliding into poverty and some reporting going hungry.